Betty Ensor Thomas ..... Some might complain at placing Third and not First or Second, but not us. We were the only Local Family Owned Small Business to place. That is a good thing. 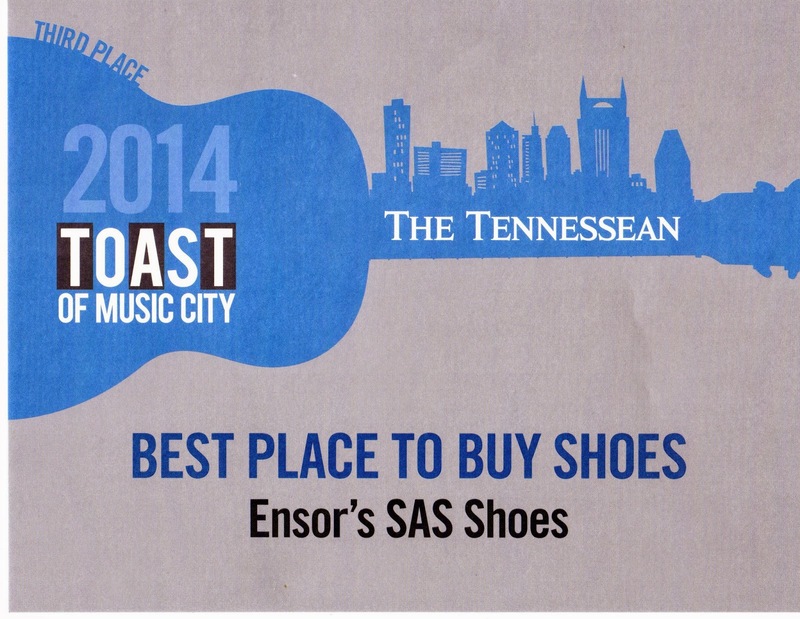 We won this award just a few days before we changed our name to Ensor's Comfort Shoes. We will still continue to sell SAS® as our main line - because we believe they make the best product, and they are made right here in the USA. We would like to thank our customers that have kept us in business since 1993, and everyone that voted for us.